Pods and Copper woven together, what next? Did you ever see something that triggered your creativity, and you had no idea what you would do with it? That happened to me yesterday afternoon while walking through my friend Barbara’s garden! We were walking through the garden, admiring all the beautiful blooming plants, I was being offered clippings of her succulents when I spotted a bush with pods hanging from it. 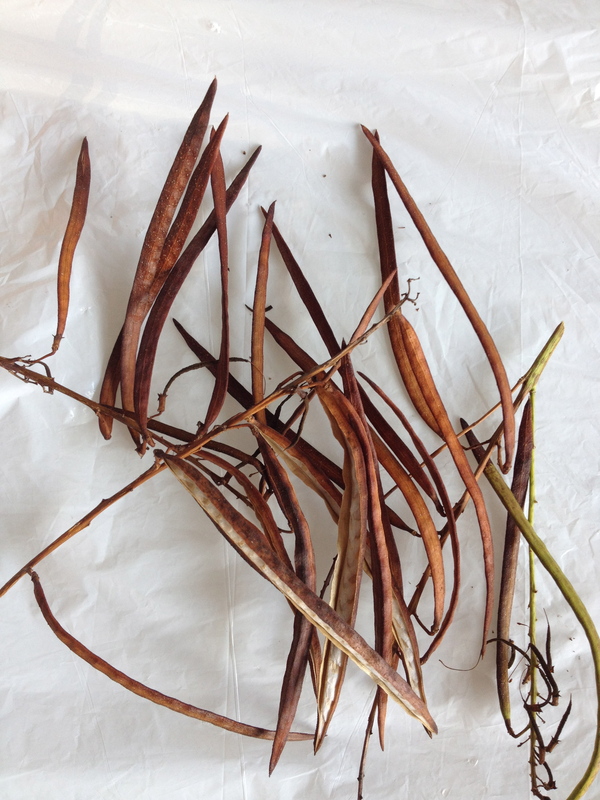 The pods were long and narrow, interesting looking, and for a strange reason I had to pluck a handful off the branch. I know what you’re thinking, “Karen’s going to paint the pods!” That’s a great idea, but that’s not what I thought of when I spotted them! The pods are rough and organic, all I can see is a weaving of some sort. I’m not sure if I can make them work, but I’m going to try! The pods are slightly dry some starting to spill seeds over the ground, and in retrospect, I probably should have grabbed the green pods if I plan to weave. We’ll see how it goes, I may have to go back and beg for more of the greener pods. Most of my friends are really understanding about stuff like this, they know me, and because a lot of them do the same! My grandkids are now finding things to save for me for art projects as my daughter rolls her eyes! 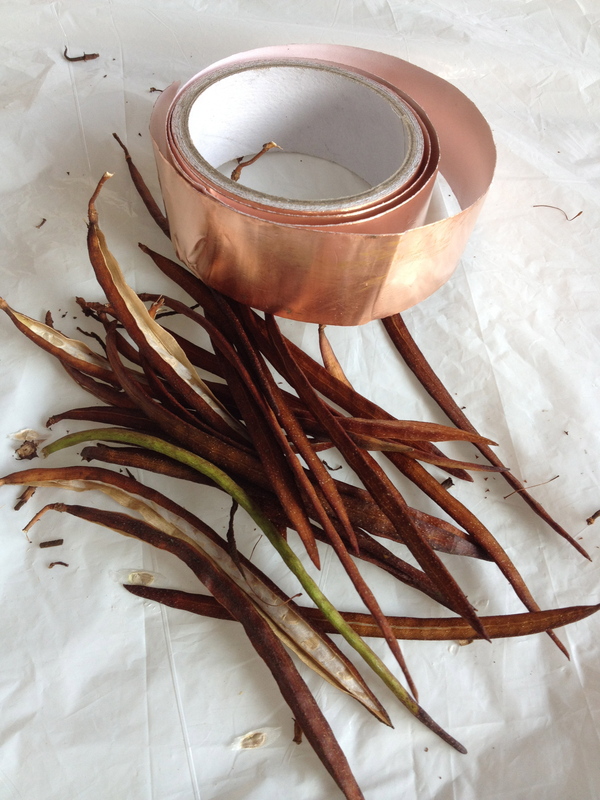 The two pictures are of the pods, one with a roll of copper foil tape I’m thinking of incorporating into the weaving. As I work on them, and even if they aren’t finished by Friday, I’ll post a picture of their progress! Thinking about it, if it looks at all artsie, I’ll mount the weaving on canvas…. I wonder what that will look like? I’d love to hear your thoughts and comments, or pictures of what you are doing. My FB page is always open for pictures and comments, as well as my blog.